As I am rather obsessed with making blankets I don't get to join in this space very often. 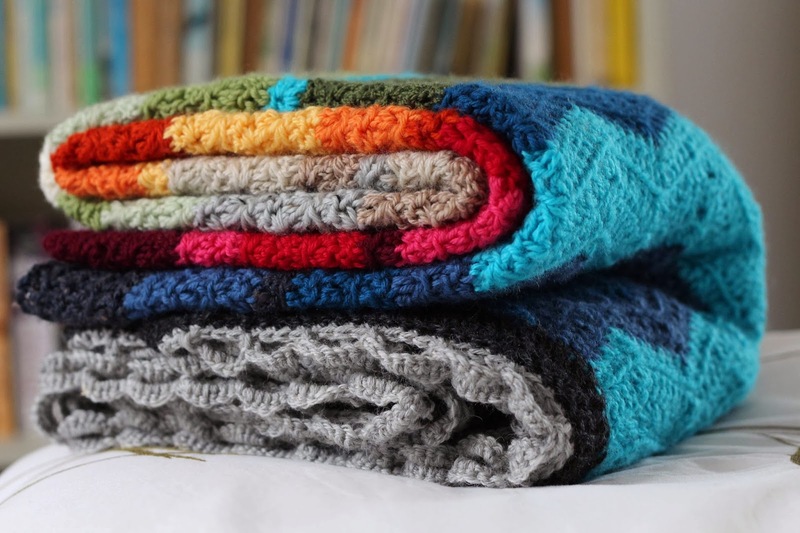 Blankets take a loooong time but they are very thrilling. I love the idea of making things that are heirlooms, that are laboured over and will keep for years and years. My mother has a blanket that my grandmother crocheted and it's still going strong. As it was made of acrylic yarn it's deteriorated in places so I always use wool for mine. I looked at my stash and realised that I had all these balls of wool that I had been given or were left over from other projects. They were all DK/ 8ply so I had a wonderful blanket idea. 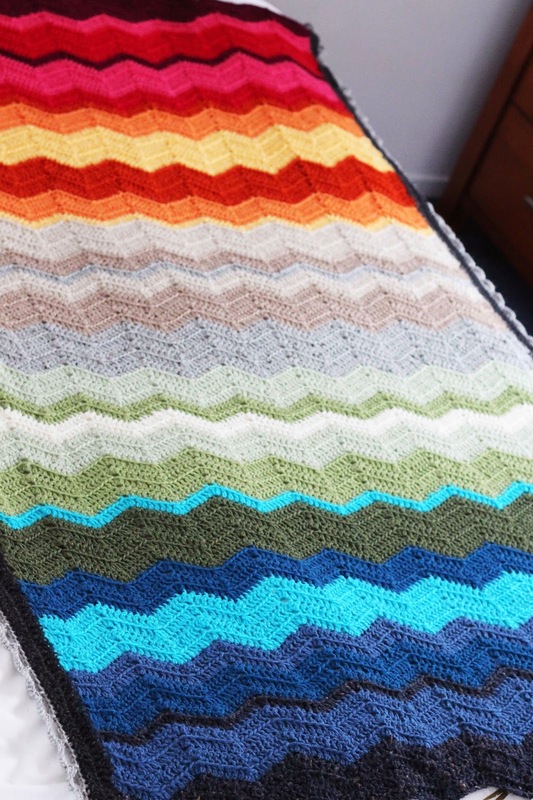 Make my first ripple blanket in a rainbow of sorts. The colours all kind of worked and I really wasn't overly worried if they didn't. I got stuck in and loved it. Ripples in rows are just the right amount of soothing and thinking combined. The children (with my help, lets be real) got me a book for Christmas by crochet legend Kirsten Omdahl called The Finer Edge. 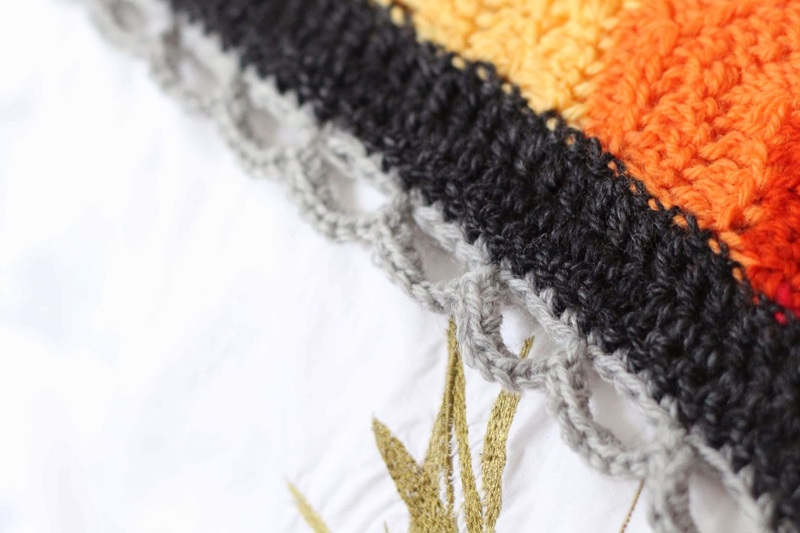 It's amazing with all sorts of edgings- I used a circle coin edging for the blanket. That is amazing I love it! 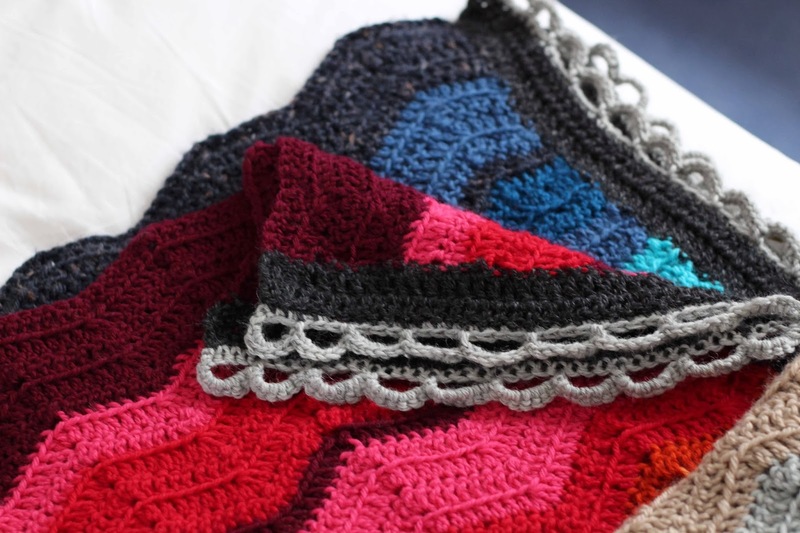 A ripple blanket is on my to do list this year. The edging is really gorgeous. Sammy, that is the most beautiful ripple blanket I have ever seen. The edging is absolutely gorgeous! You are my crocheting inspiration! Sammy the speed in which you whip blankets up in us inspiring ! Love this ! Agree with everyone up there ^^^. Amazing job, love the edging too.